JR, The Black Entertainment Guide: Denzel Washington broke the law for "Unstoppable"
Denzel Washington broke the law for "Unstoppable"
Because of his position as a successful black man, Denzel Washington has used his reputation to give back. The man has been living proof that anyone can make it. He has become very vocal and has done positive commercials. 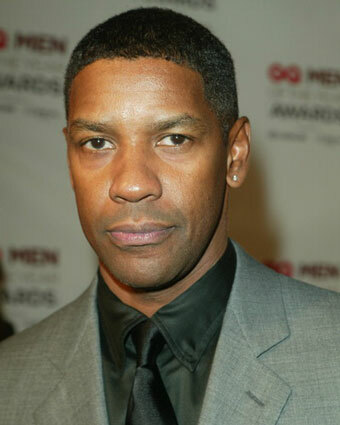 Many people consider Denzel Washington to be a positive role model. Each year, it appears as if Denzel Washington is gearing up for a new film. He has been on a different high ever since he did both American Gangster and The Great Debates. In the first film mentioned, Washington portrayed Frank Lucas, a crime lord in the 1970s. That was his first role as a villain. Now, Washington's focus is Unstoppable. While playing a criminal in 2007, he never actually broke the law. But, for his latest movie, Denzel Washington broke the law. He did not commit a major crime, the actor just drove a train without authorization. There were not any other trains on the track and it was only for the film. Denzel Washington remains a positive role model in the community.